A popular choice for open shelf filing systems. Sturdy, 11 point manila stock. 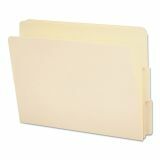 Smead End Tab File Folder, 1/3 Tab, Assorted, Letter, Manila, 100/Box - Folders offer strength, durability and efficiency with embossed end tab for easy label positioning. The 9 front height allows labels on top and end. 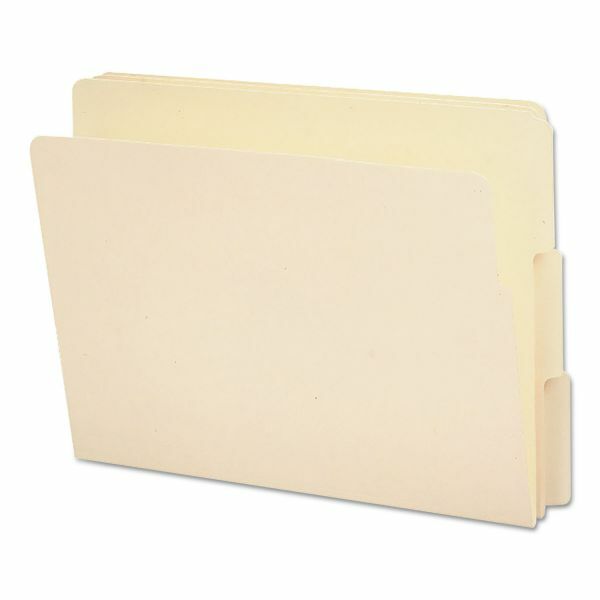 Heavyweight folders offer a 3/4" expansion. 1/2" wide tabs are in assorted 1/3 cut positions.